Inter Angkor Condominium is a premier new Apartment in the heart of Siem Reap City, providing luxurious serviced apartments in Siem Reap for short term and long-term apartment rentals. One of the most architecturally significant buildings in the City, this development is unique. Bold design, sash windows and contemporary environmental, the perfect base for business and holiday guests. The style and setting offer unmatched convenience to some of the most important financial and civic buildings in Siem Reap-Cambodia. Take time out to enjoy the Amazing Temple at Angkor Wat. For theatre lovers, the lively West End with its theatres, shopping and nightlife is a short distance away. 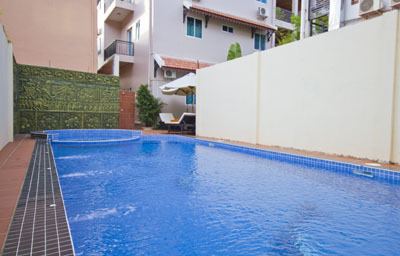 Copyright©2012 Inter Angkor Condominium, All rights reserved.